Apologies for the absolutely terrible camera. thats pretty cool - will look great painted with the bright greens of the mkd up livery. ISC, with their dark green scheme looks ugly. I'd like to see models of the old style. That screamed unique, instead of a bland color pallet. I’m going to assume you are not going to be “selling” them on this site. Right. Only kixeye can sell ships. 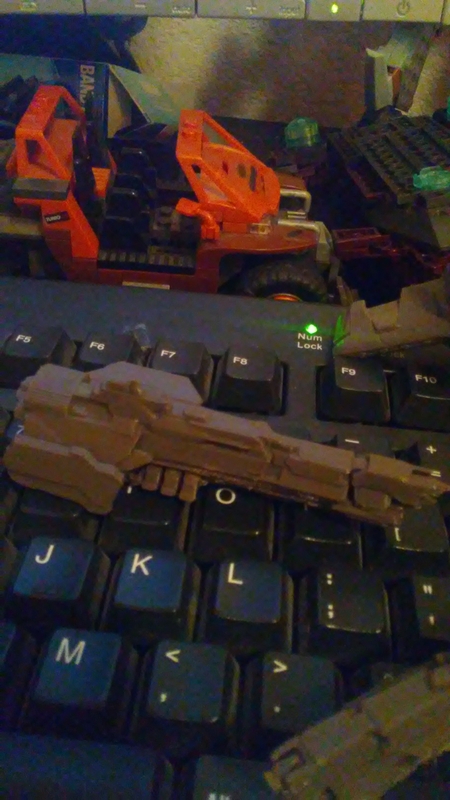 They should honestly do this, sell ship figures with LEDs and stuff. Would be a cool idea. I'd buy some of my favs honestly. Very nice little ships! They'll look even better if you have any way to color those, especially Dominion since it's my favorite ship. @Todd7123 Pshh.... I wouldn't "sell" them here. Anyone with an interest in them is free to message me, however. I have access to any and all of the models from the game. @Glowlight I'd gladly do a Jav. It was one of my next planned ones in full scale. @Nightmare Deathlock I was also planning to do Nighthawks and Eagles at some point. my personal two favorite "small" ships. This makes me feel better about printing them for myself though. I felt kinda weird and felt like I was the only person who wanted to do this. @RyantheRed Not sure what printer I've got but I can print down to .06mm. The Dominion was printed at .15 I think and the Punishers were .25. not sure about the Vigilantes but they seem to be between the two. I used a new software for those at which point I did the "Fast" setting and did the supports manually. The printing surface and monitor say IIIP on them. Might be Monoprice. Got it refurbished for Christmas. @RyantheRed Wayl, as much as I'd like that resolution, I'll do as best I can with the .06mm. I'm currently away from the printer with business, but here soon I want to print the largest Javelin I can, possibly in two pieces. ~16 inches if I can manage. 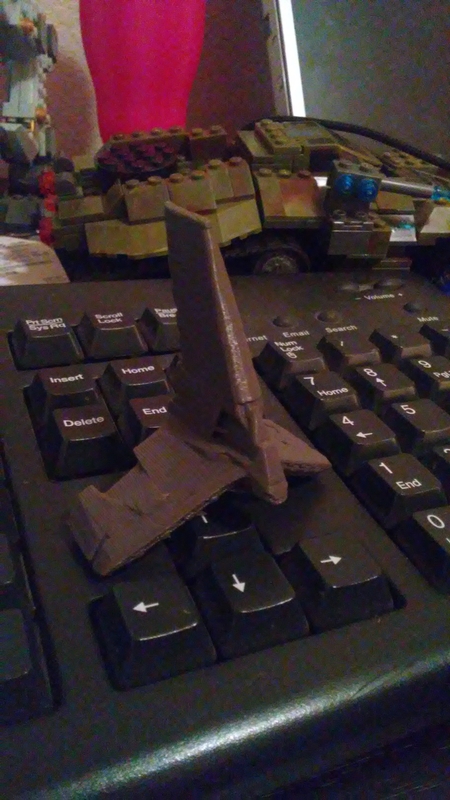 Probably print at around .09 to have a high resolution but still have the surface texture to paint afterward and to just generally feel better than smooth plastic. I have the Harvester model and Reaper/Ancient Reaper models in their "open" form making them kinda weird but I still have them. I also have found very basic models of that cargo ship, presumably what was the map icon for it, similar to how the Javelin has a low-poly model in sector. As for board games, yeah I've considered stuff like that. I was thinking along the lines of a Chess set or recreating Halo: Fleet Battles. pls share Files, i want to print Down here. Ill work on Alien Harvester. a friend of mine has one and makes all kinds of stuff and its awesome and makes me want to go out and get one. how big can u make a ship? very cool , 3d printing is coming a long way fast ! I am %100 interested and am ready to start talking prices in exchange for 1 quick demand, just to hope your quality is increased and was wondering if you where going to add color. 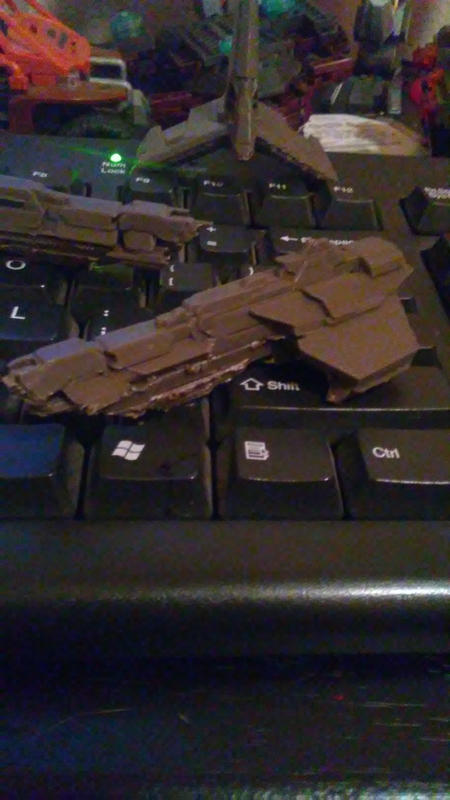 It is not neccesary if you are adding alot of detail to the ship but would improve the authenticity dramaticaly! Add me as a friend if you wish to talk more about this topic. Also not that its also a big issue but size wise, how big can or small can you make them, or can you make them any size and just adjust the price? Because you got something amazing going hear! They can get alot more money out of people who quit coining but still like there merchandise! Heck, I love this game again! @HarpoonoZenith @Glowlight I don't believe I'm allowed to post game assets to the forums, but I have uploaded them to my personal drive, contact me and we'll talk about distribution. @Infinity EIC Yes, I added you and we will negotiate. Anyone else, if you have questions or similar related to this topic, I'm happy to help, but the forums are a somewhat sketchy place for me to talk details, so add me on the profile level, and if we get along, we'll talk on a more personal level. I look forward to seeding the final products. 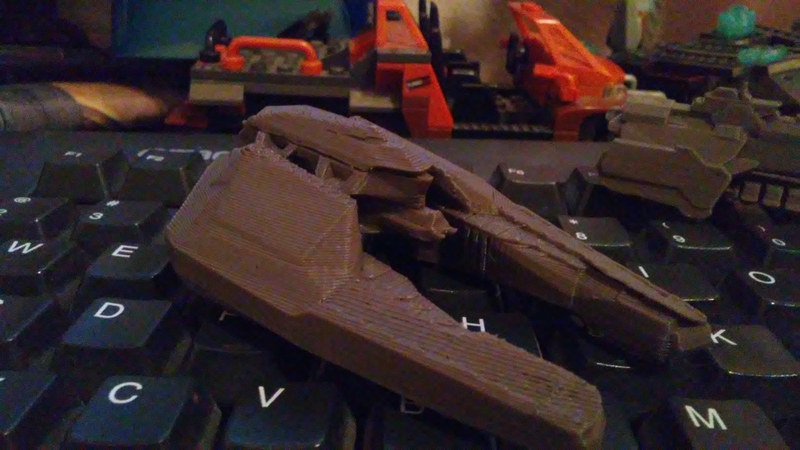 I actually would have loved to work on 3D printed models for these ships, but never really had the time for such a project. However, with that being said. Everyone loves artwork of any type.